Pedestrians are usually innocent victims of traffic accidents that can result in severe injuries to them and, in the worst case, death. When a car, truck or motorcycle strikes a pedestrian, it can cause broken bones, internal injuries, head trauma, spinal cord injuries and paralysis, and a variety of other types of injuries. 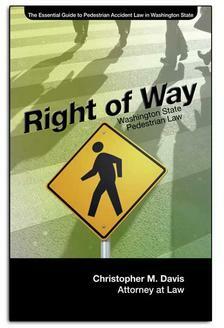 A pedestrian’s life could be adversely affected for many years to come because of a driver’s negligence. The following are some common scenarios or locations in which pedestrian accidents occur. Hit-and-run accidents: Drivers commit hit-and-run accidents far too often, and the reasons are numerous. Hit-and-runs are often deadly, or may result in devastating injuries because the pedestrian may not be able to receive medical care after the driver leaves the scene. Intersection accidents: This type of accident commonly results in injuries because pedestrians are in close proximity to a large number of vehicles. With vehicles turning in different directions and changing lanes, their attention might not always be on pedestrians. Even a slight distraction or a small blind spot may result in a pedestrian accident. Backing accidents: Pedestrians may be injured or killed in some situations involving a large truck backing up. This may involve a young child who is behind a truck and cannot be seen by the driver. These accidents are more likely to occur where vehicles are parked, like a parking lot or driveway. Failure to yield accidents: A failure to yield accident occurs when a driver fails to yield the road appropriately, causing a wreck. If a pedestrian is in a crosswalk and a driver doesn't yield, it could result in an accident and a lawsuit against the driver. Left-hand turn accidents: A left-hand turn is one of the most challenging maneuvers for a driver to make. The turning driver has a green light when pedestrians have a walk light and the driver simply isn't paying attention. Studies show that left turns cause a quarter of all pedestrian crashes. Crosswalk accidents: The law requires that drivers stop for anyone choosing to cross the street where there is a crosswalk. Unfortunately, impatient drivers often think crosswalks are optional to stop at, and those not paying attention may accidentally strike a pedestrian. Parking lot accidents: In cities such as Seattle and other places where the population continues to grow, pedestrians will be exposed to dangers of vehicles in parking lots. Studies show that about one in four pedestrian-involved accidents occurs in parking lots. Most pedestrian accidents fit into one of the above categories. But the crosswalk accident lawyers at Seattle-based Davis Law Group, P.S., know that every pedestrian accident is unique and the circumstances involved in each case vary greatly. If you or a loved one has been involved in an accident as a pedestrian, it is important to consult with a personal injury attorney in your area to learn more about your legal options. Washington state’s comparative negligence law allows accident victims to recover damages even if they are found to be partially at fault for the accident. The law can affect all personal injury cases differently, but generally speaking a victim can recover the level of damages that the defendant is found to be liable for. 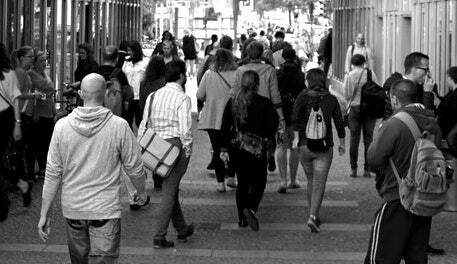 If a pedestrian is found to be partially at fault for their own injuries after an accident, then there is a chance they may not be fully compensated for their damages. However, they would still be able to recover some level of compensation for their injuries and other losses. It is unfortunate that many insurance companies attempt to deny the claims of pedestrian accident victims. Most insurance companies have tactics that they may use, such as asking for more information about the accident which causes a delay in processing your case. They may also try offering you a sum that is less than you deserve in the hopes that they will not have to pay the full amount that you are entitled to. If you have any questions about your case, contact the experienced legal team at Davis Law Group to learn more about your options. We offer free case evaluations and work on a contingency fee basis, meaning you don’t pay anything unless we win a settlement for you. Call (206) 727-4000, use the chat feature below or fill out the form on this page.